It's easy to explain the vast majority, if not all, of WCW's various disasters. You can explain them with a meme: LOLWCW. But such a ridiculous wrestling organisation warrants an entry on this list, and perhaps the absolute most inexplicable booking decision concerns the debut of one Bret Hart. The most controversial wrestler on the planet, and arguably still the best, Hart had departed the WWF in the most acrimonious, shocking, sensational, industry-shaking manner in the history of modern professional wrestling. Eric Bischoff's stock in trade was controversy. He'd courted Hart's signature for months and months, and must surely have done so for a reason, usually manifesting in the form of a "plan". This was a perfect storm for a moment iconic, momentous, or, at the very least, of major intrigue. Instead, WCW installed him as the special guest referee in a comedy match between Eric Bischoff and Larry Zbysko, the stupefying subplot of which teased Bret Hart's defection to the nWo. 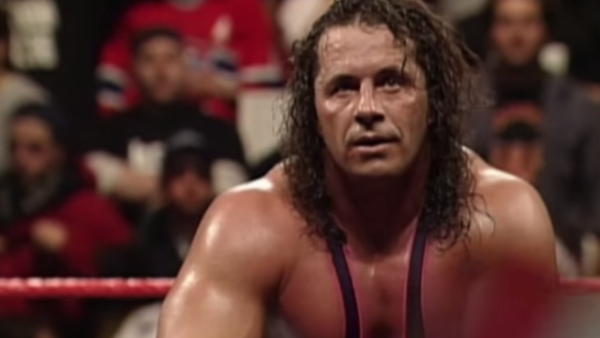 If there was ever a pro wrestler with absolutely no reason whatsoever to join a stable of anti-WCW WWF sympathisers, it was Bret bloody Hart. Brainless; mundane; wasteful - this was a telling symptom of the terminal disease infiltrating the organisation.